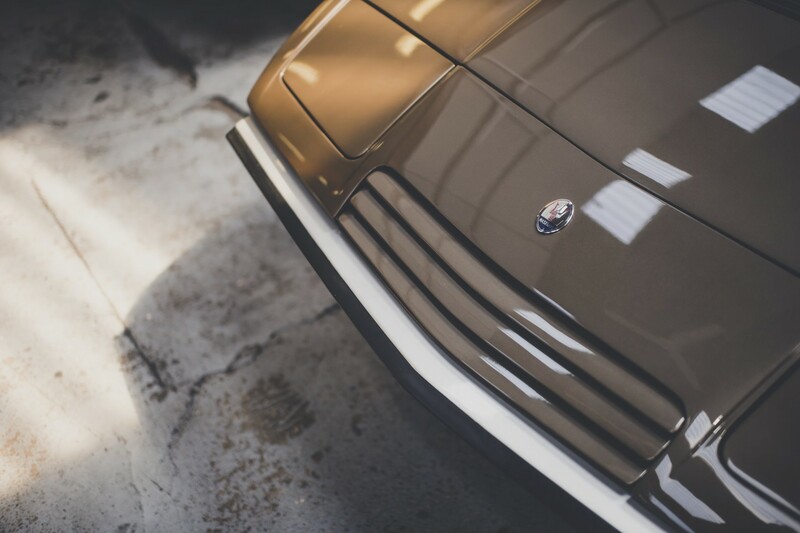 Having been a McGrath maintained car for many years, we had got used to this Khamsin being red with a tan interior. 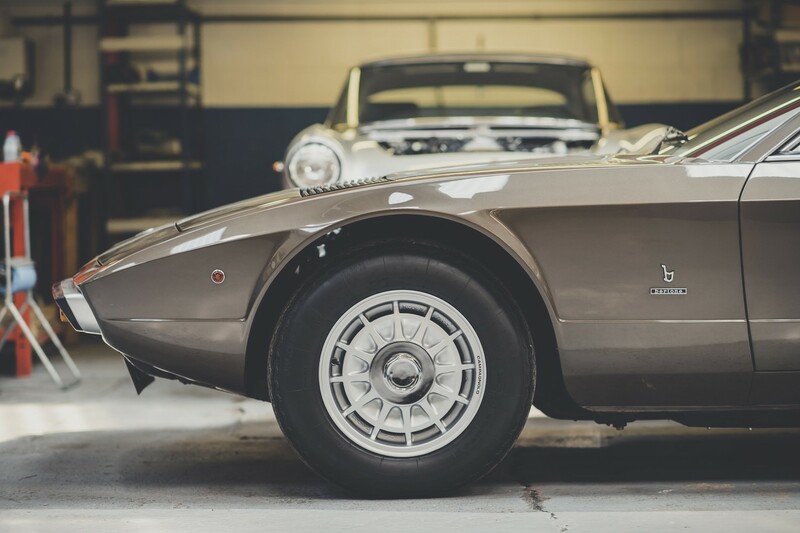 Used a lot by its enthusiastic owner it eventually deteriorated to the point where it required a restoration. During that process, we made some surprising discoveries. Of course, it was originally brown, the owner quipped one day. Sure enough, when the red paint came off, traces of the original Luci Del Bosco (forest lights!) 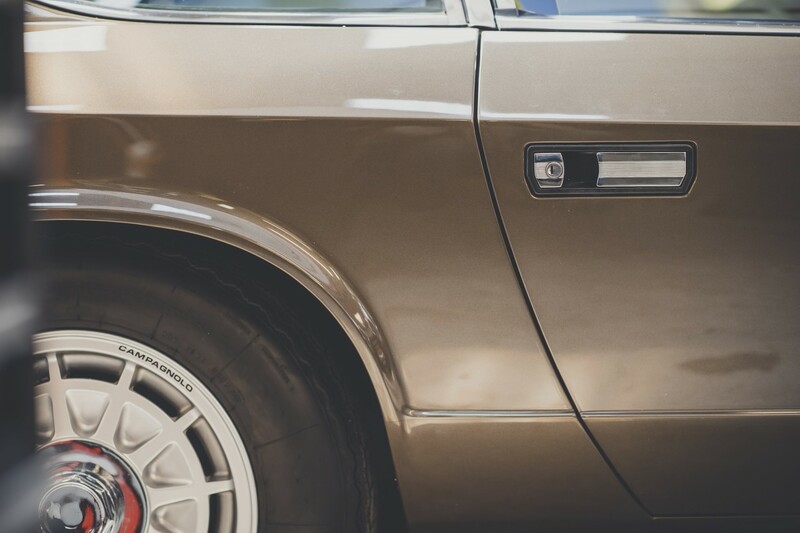 brown paint were evident. 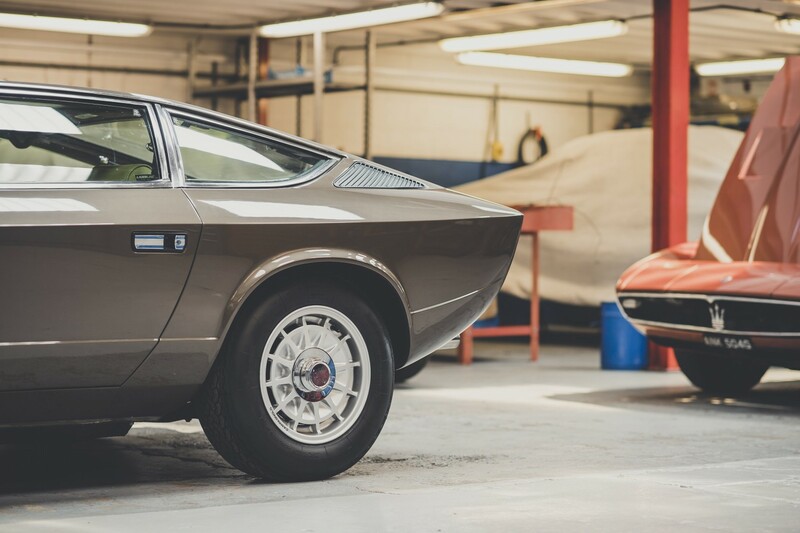 Over the years the car had suffered various bits of minor damage and there was some corrosion, so a thorough body restoration was commissioned. This gave us all plenty of time to get our head rounds the idea of brown but eventually the decision was made to go original. At that time, we didn’t know the knock-on effect of this. When checking our records to confirm Luci Del Bosco, we also realised that the original interior colour was green. Having pulled one of the seats out of storage, an examination of the leather hidden under base revealed that it was indeed green and the tan colour that we had all accepted had been painted over the original. This presented the owner with another quandary but in the end, he elected to go original again (a brave man) and so our trim department re-trimmed the car. The remainder of the restoration didn’t involve as much soul-searching but included new bumpers and Perspex window supplied by us, a complete engine rebuild and a thorough hydraulic overhaul of the LHM system. When completed, we made a further discovery. 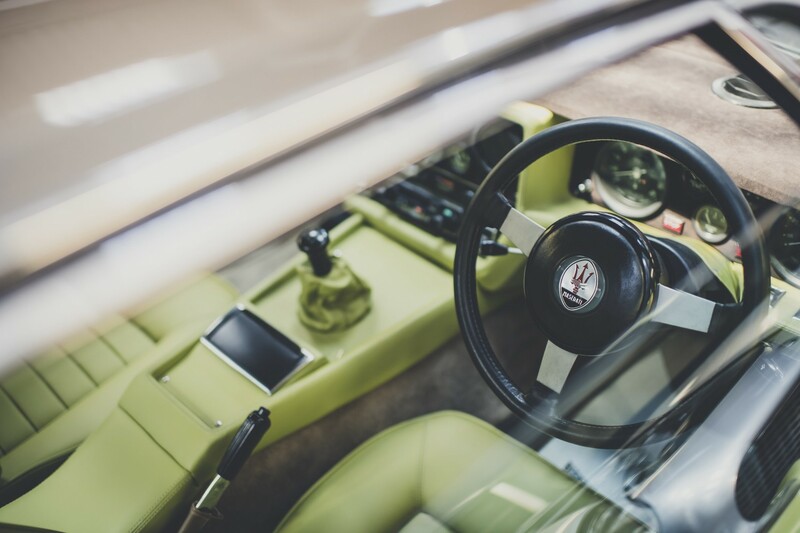 This car was originally ordered new by Mario Condivi, who was the UK importer for Maserati in the 1970s with his company MTC Cars. He specified this colour scheme and it was unique. At the time, MTC press cars used Condivi’s personal private number plate, MAR 10, and a brochure for Car Magazine photoshoot shows this car with that numberplate when new. Further information came to light about the interior. 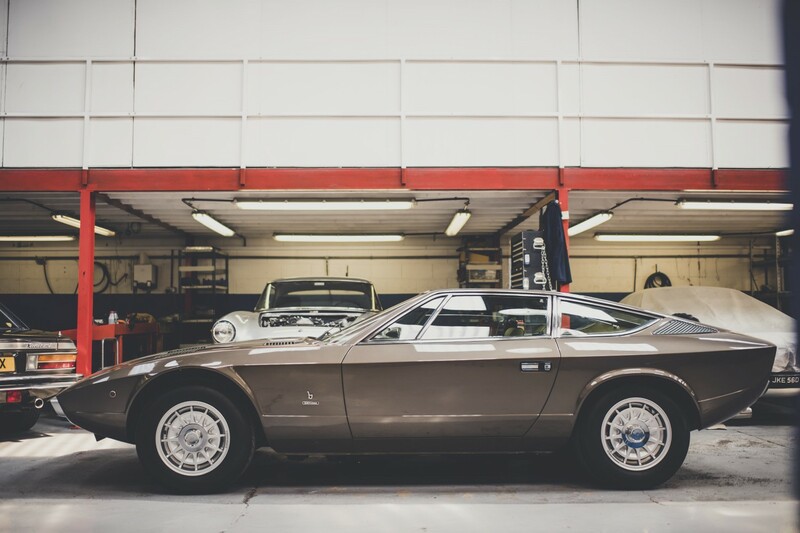 When Condivi came to sell the car, he found it difficult due to the unusual colour and eventually took it back to Maserati, where the colour was changed to tan by painting the leather. No wonder it was such a good job it fooled us all these years. 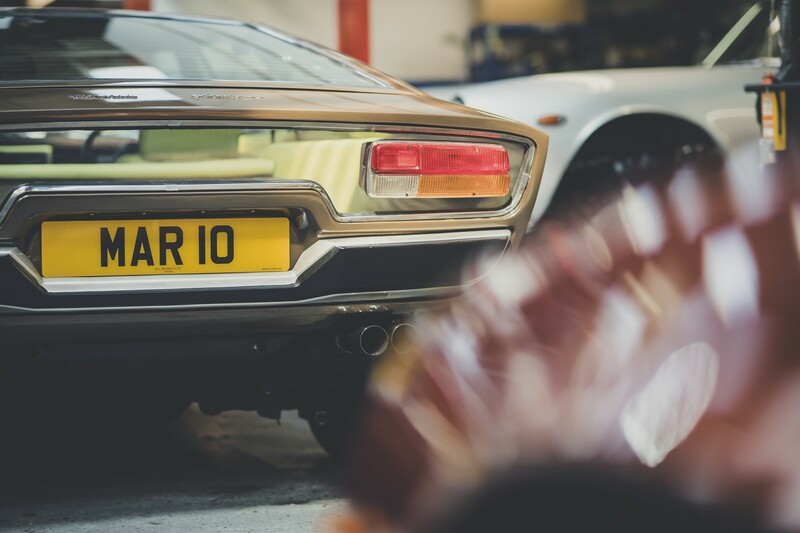 It imbues this Khamsin with a real ‘70s vibe to go with its outrageous Gandini bodyshape, the groovy Perspex rear window and those distinctive asymmetric vents in the bonnet. 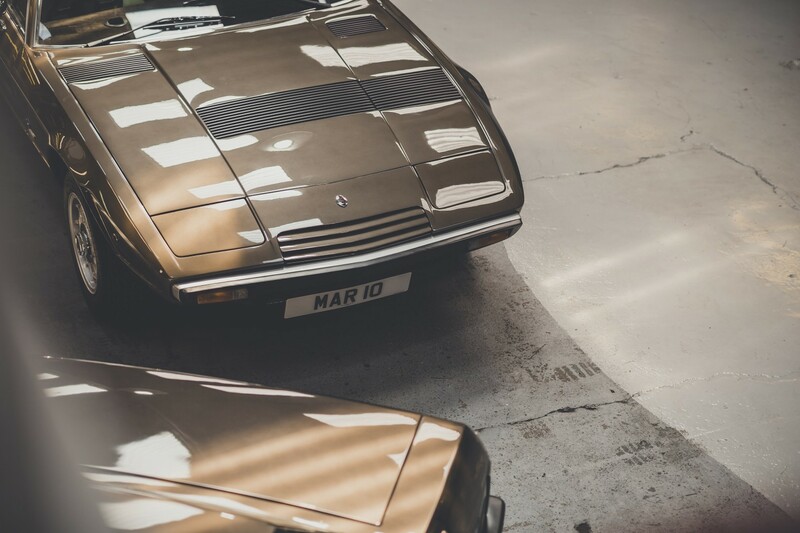 It’s about as original as it can get now though sadly the MAR10 number plates are only for show! ZF dog-leg 5 speed gearbox, Salisbury independent axle unit with LSD.